The most daring and original hero in crime fiction… in a debut novel that’s a relentless, pure-adrenaline rush. 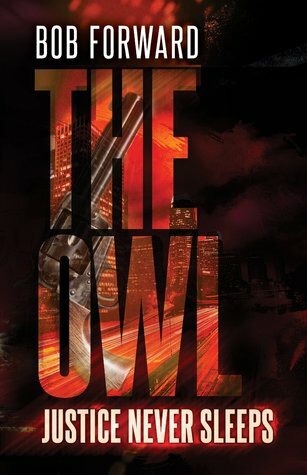 This book titled The OWL, is a dark and gritty book about a man who does not sleep and after something horrific that happened to his family he is now taking up lost causes for people. Sometimes for money sometimes for free. This story starts off fast paced as soon as you start reading and goes on from page to page. Someone is trying to kill him but he is taking them out as fast as they come after him. He starts looking at every angle at who it could be and likewise you the reader are caught up in the story from the very beginning. For me nothing about this book felt make believe the author made a character and characters around him that I could see really taking place, or my mind can go to the dark side real easy. But as the story moves along you realize you are coming to the end and you are wondering why it has to be over. The sign of a good book. Fast pace, murder mayhem, and who done it? The makings of a good book. I got this book from net galley. I give this 4 Stars.